Totalcontent | ‘The Three Little Capitalist Pigs’. 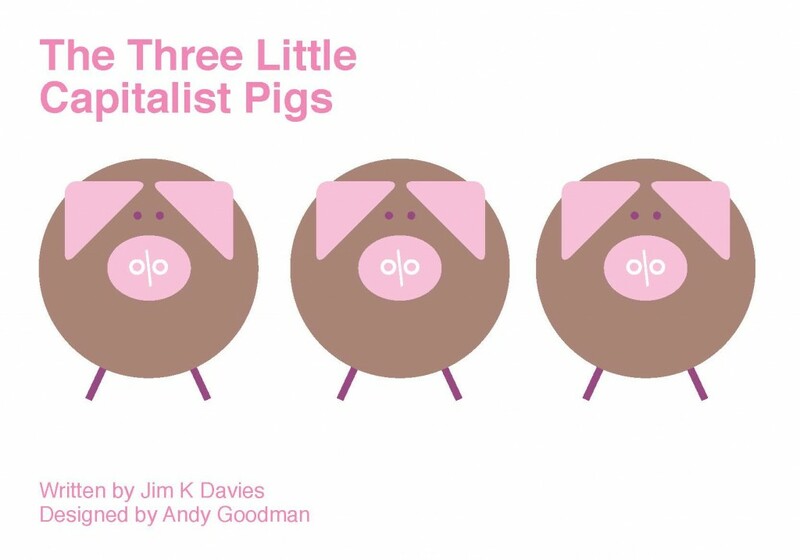 Home » blog » ‘The Three Little Capitalist Pigs’. This is the second book in our best-selling ‘classic fairy tales that mean business’ series, illustrated with some aplomb by Andy Goodman at Five-Bar Gate. This time, we put our enterprising spin on the familiar story of the three little pigs; it features sibling rivalry, burglary, and how new product development finally brings home the bacon. The narrative fairly trots along, while the images are as crisp and appealing as pork crackling. As ever, the writing is a playful, knowing hybrid, which subverts the readers’ expectations, dropping in modern business jargon when they might expect the more formal, old-fashioned style of fairy tales. Each tale covers a different aspect of business, and has a surprising twist at the end. But ultimately, these stories are just light-hearted, gently satirical fun. You can get your copy of ‘The Three Little Capitalist Pigs’ by doing the PayPal thing below. It’s priced at £8.99 (with free postage in the UK). Or for a real bargain, snap up ‘The Three Little Capitalist Pigs’ and ‘Little Red Livelihood’ for just £15. 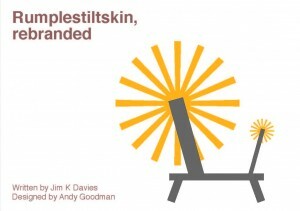 Next up … ‘Rumplestiltskin, Rebranded’.